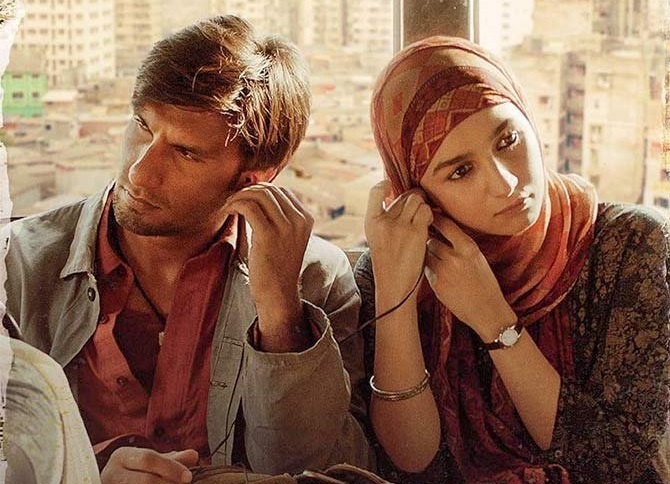 Gully Boy is the big release of the day and one of the biggest release of the year. Film is getting released on Valentine's Day and looks like youth will come in numbers to watch the film in theaters. Gully Boy has got big release across the country. This is more due to the stardom of Ranveer Singh post Simmba and Padmaavat. Film is getting released in approx 3800 screens across India. This is easily the biggest release of any Zoya Akhtar film till date. Film will enjoy Valentine Day weekend and should post big numbers from Thursday till Sunday. Friday there may be some dip in business, but film should gain pace on Saturday and Sunday. URI is still going strong despite closing on 5th week. Film has retained a significant 650-700 screens across India. This is again sufficient to rock big in this coming weekend. Film should also enjoy the extended Valentine weekend, although film will face stiff opposition in Gully Boy this time. Manikarnika screen are reduced. Film has retained 450-500 screens across India. If film enjoy good occupancy all through the day, then film can still put up good numbers for the coming weekend. This coming week will ensure whether film can enter successful zone or will stay in average zone. Interesting time ahead.